International panel discussion moderated by Dr Ingo Rausser, Partner Capco – featuring Russell E Perry, CEO Kompany, Ralf Huber, Co-Founder Apiax and other speakers. New digital financial services call for digital regulations to avoid being slowed down by traditional approaches to regulation. We believe many emerging economies have an opportunity to leapfrog existing heavily regulated countries by moving directly to digital regulations. Similarly, firms deploying RegTech solutions in developed markets can benefit from the new technologies to accelerate their business development in particular, improvement on client experience. We see RegTech as a crucial enabler in the transformation of traditional economies and regulations into new digital ecosystems. 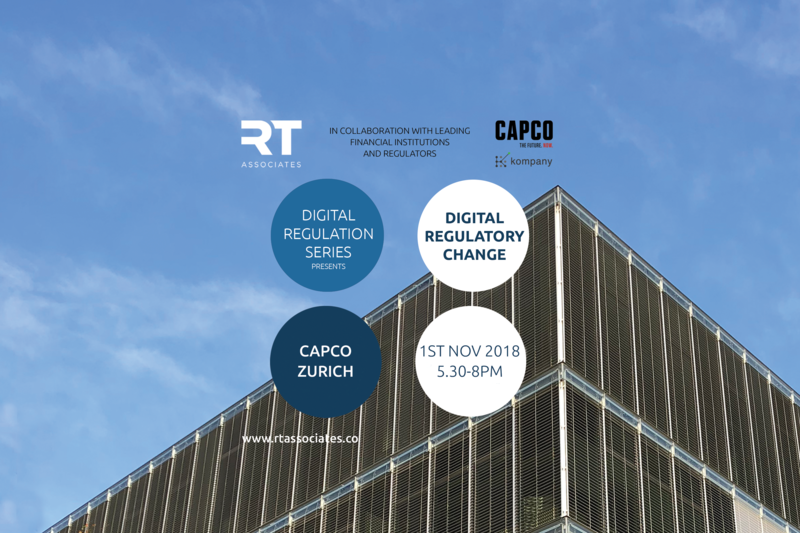 Please join us and learn how RegTech’s innovative approaches are accelerating these transformation efforts, shaping the future of digital regulation. The event will be followed by a blog and with all content published through RegTech Associates’ channels and partners.